There was just a little bit of a temperature gradient across the Northeast and Great Lakes on Saturday. 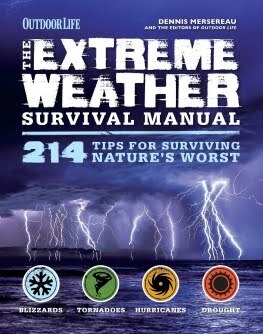 At 5:00 PM EDT, the temperature was 42°F in Boston, 54°F in New York City, and 81°F in Trenton, New Jersey. A strong low-pressure system over the Midwest on Saturday afternoon allowed warm air to surge northward along the East Coast while drawing cold air south from Canada. 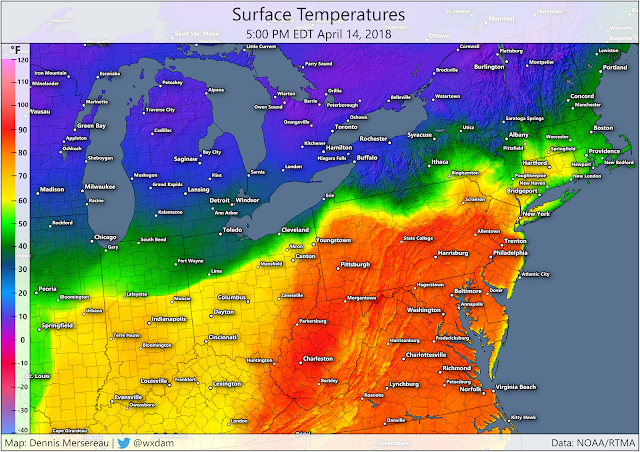 The dividing line between "unseasonably cold" and "warm enough to use the A/C" was just a few dozen miles across at the afternoon's peak heating. 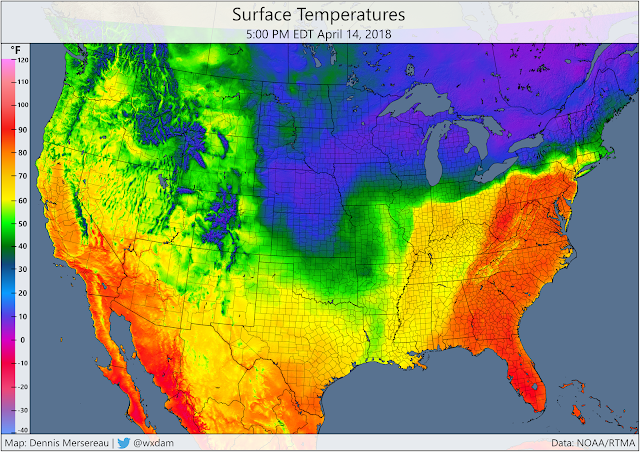 The three features driving the sharp temperature gradient were an upper-level ridge over the East Coast, a potent low-pressure system located over Illinois, and an area of high pressure over eastern Canada. The combination of southerly winds and subsidence caused by the ridge aloft brought May-like temperatures to the East Coast on Saturday afternoon. Temperatures in the Washington D.C. area got into the mid-80s today. BWI Airport hit 86°F, Dulles reached 83°F, and National Airport in Arlington made it up to 84°F. The 80s made it as far north as central Pennsylvania and New Jersey. It's a completely different picture on the other side of those cold and warm fronts. Heavy snow, freezing rain, and sleet fell from from eastern Nebraska through interior sections of the Northeast. Forecasters expected the heaviest snow to fall in the Upper Midwest and northern Great Lakes, where some communities could see up to two feet of snow by the end of the storm. Significant ice accretion is possible in western New York—an ice storm warning includes the cities of Buffalo and Rochester, where up to half an inch of ice could form between this evening and Sunday afternoon, potentially downing trees and power lines. The bulge of warm air won't extend as far into the Northeast on Sunday afternoon as the low-pressure system weakens, allowing the high in Canada to shove cold air deeper into areas bathed in warmth today. Sunday's forecast high in Trenton, New Jersey, is only 44°F, which is a 37°F drop from what the city saw today. Cold air coming in from the northeast (rather than the northwest) is often called a "backdoor cold front." 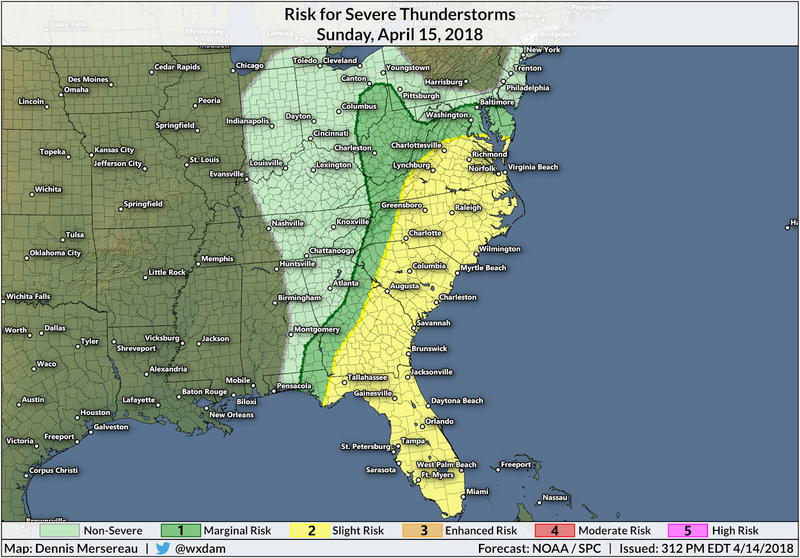 The warmth will break for the rest of us on the East Coast for a couple of days when a line of strong-to-severe thunderstorms sweeps through on Sunday afternoon and evening. The Storm Prediction Center has received hundreds of reports of severe weather over the past two days as thunderstorms have made their painfully-slow trek toward the east. A severe squall line over the northern Gulf Coast has barely moved through the day, leading to life-threatening flash flooding in eastern Louisiana and southern parts of Mississippi and Alabama. A new squall line will develop with daytime heating on Sunday and bring the potential for damaging winds and tornadoes in the Southeast. Damaging winds will pose the greatest threat across areas at risk on Sunday, but tornadoes are possible, especially in any discrete storms that form before the main line comes through. allowing the work platform to gain access around and over obstacles. Models are available in a huge variety of sizes and features to my Boom Lift Rental Pages.